The Beach in front of the bar! Kick back with a cocktail while the waves gently lap your toes. At the Forty Thieves Beach Bar & Bistro you can listen to live music, play bar games, watch water sports, enjoy a delicious lunch or party the night away. You’re always assured a warm welcome and there's a disco under the stars every evening. 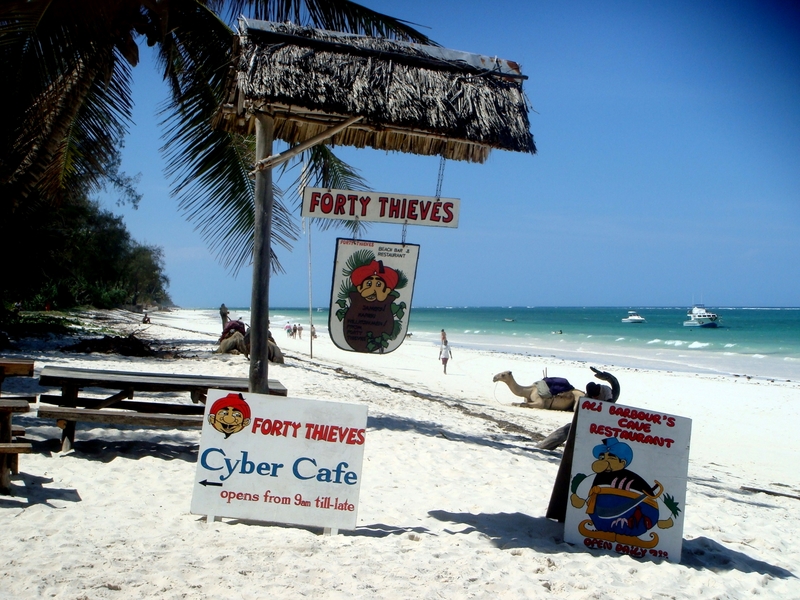 Forty Thieves Beach Bar & Bistro is situated on beautiful Diani Beach. It's only a one-hour drive from Mombasa International Airport and 10 minutes' from Diani Airstrip. Forty Thieves is close to shops, restaurants, a water sports and diving centre, 18-hole golf course, Wasini Island and the Shimba Hills Game Park. Forty Thieves Beach Bar is 2.7km from the centre of Diani Beach , the nearest airport 2.1km (Ukunda Airstrip).